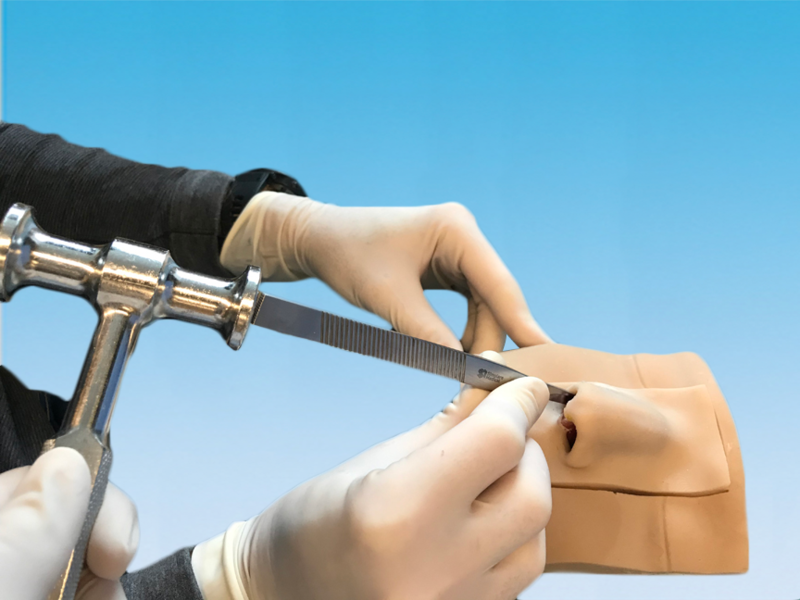 This remarkably high-fidelity simulator allows performance of a comprehensive end-to-end rhinoplasty procedure complete with multi-layered tissue structures, realistic tissue manipulation and incising with life-like dissection planes. There are cartridges available for four different nasal deformities: dorsal hump/deviated septum, pinched nose, crooked nose/post traumatic and ptotic tip, with many more to come. 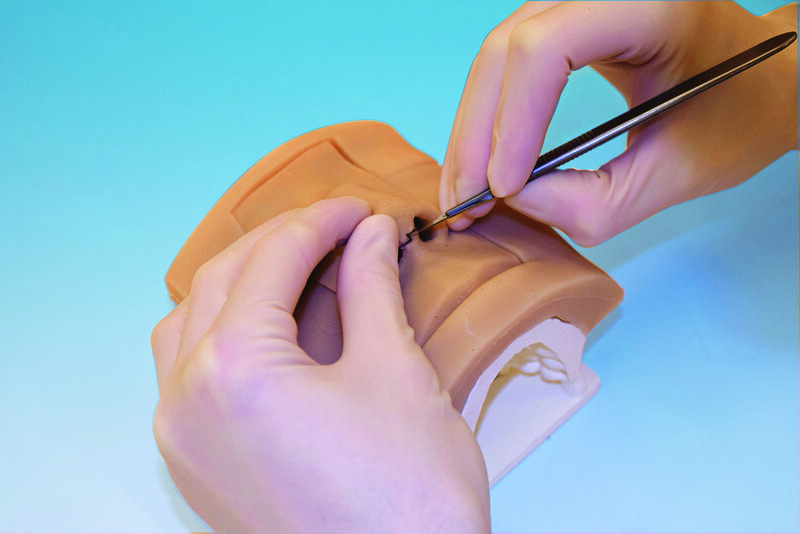 View our Simulare Rhinoplasty Simulator demonstration video here. 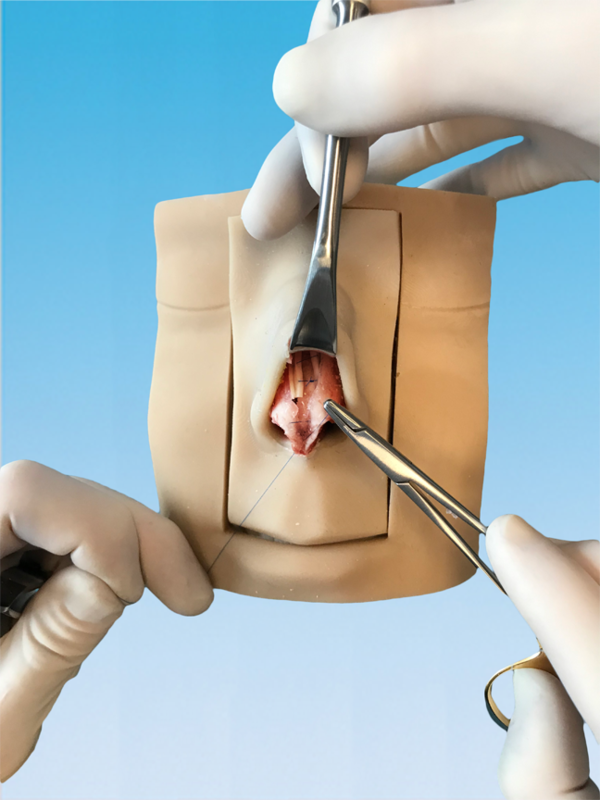 Download the Simulare Rhinoplasty Simulator product/specifications sheet here. Download the Rhinoplasty Simulator Deformities sheet here. External approach using realistic skin and subcutaneous tissue. Elevation of skin and soft tissue revealing underlying perichondrium and nasal cartilage framework. Realistic elevation of perichondrium from underlying nasal cartilage framework. 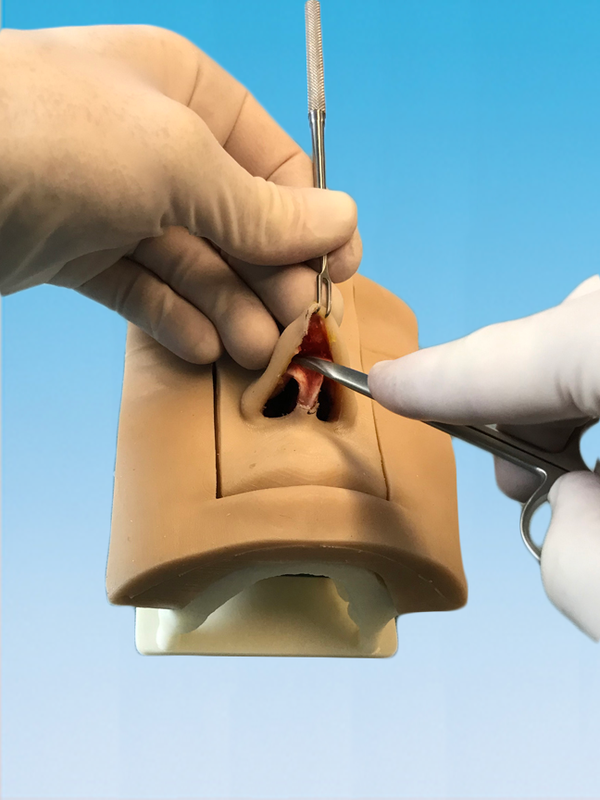 Practice using deformity cartridges for dorsal hump/deviated septum, pinched nose, crooked nose/post traumatic or ptotic tip, with many more to come. Precise dissection of perichondrium from lower lateral cartilages. Elevation of mucoperichondrial flap from nasal septum. Utilization of swivel blade to harvest septal cartilage with remaining L-strut. Extensively tested and realistic cartilage feel and behavior. Perform osteotomies with dynamic bone movement to correct upper vault deformities. 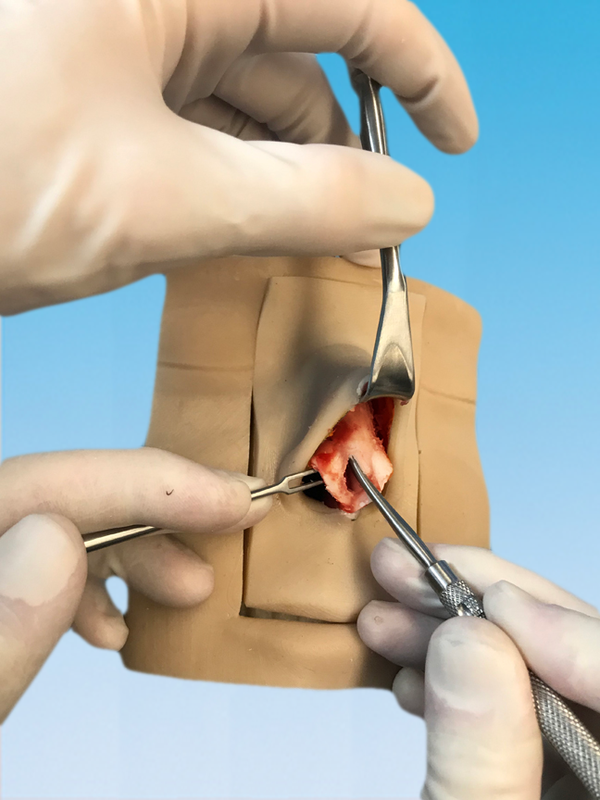 Perform endless grafting techniques including spreader grafts, columellar struts, batten grafts and much more. 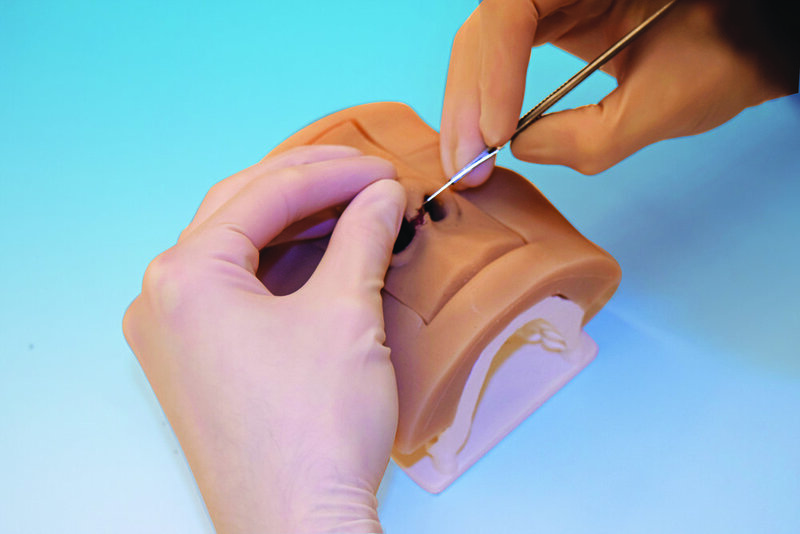 Practice endless tip suturing and contouring technique possible.